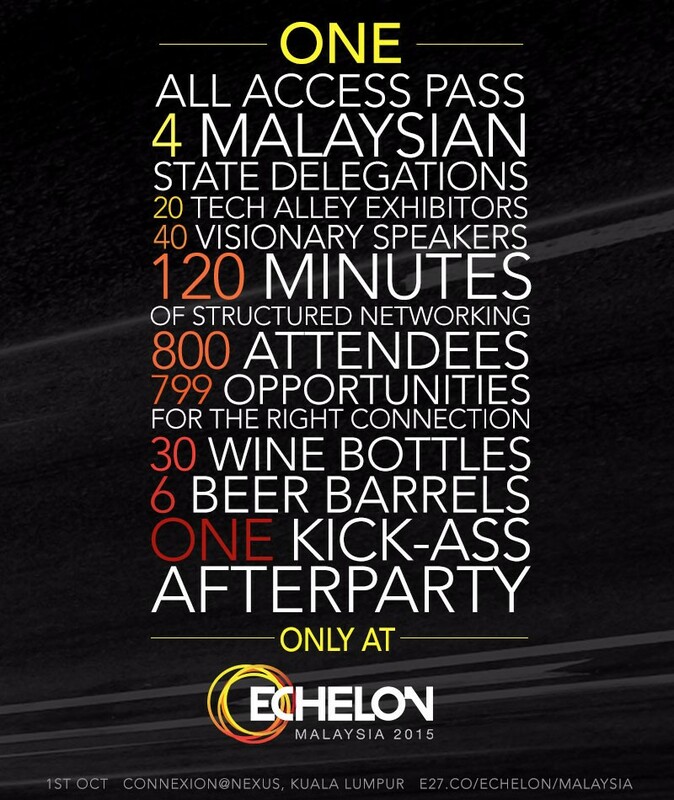 With a big aim to connect entrepreneurs to Asia’s Next Spark, Singapore-based Online Media e27 will be organising Echelon Malaysia 2015, a one-day intensive event this October that connects Malaysia’s thriving startup community with speakers, mentors, investors and entrepreneurs. Expecting more than 800 attendees of delegates, startup founders, entrepreneurs, and exhibitors, the e27 Echelon team brings you a full day of rigorous breakout sessions, interactive workshops, high-level keynotes, structured networking and panel discussions. At the same time, founders and organisations can showcase their solutions to over a thousand delegates as part of Tech Alley forming sustainable partnerships, generating leads, scaling opportunities and getting updates on the latest technology trends. e27 aims to bring people together through structured networking sessions in Echelon Malaysia. Featuring Global Brain, Incubate Fund, Vertex Ventures, Maybank, Ardent Capital and CIMB just to name a few, selected startups will be given opportunities to pitch and raise funds from attending investors, scout for new talent and form partnerships with other entrepreneurs in attendance. At the same time, investors can seek their next venture, get macro-level insights from our speakers and build their funding portfolios. recognised as well. State delegations representing Penang, Johor Bahru and even East Malaysia’s ecosystem will be present at the event. 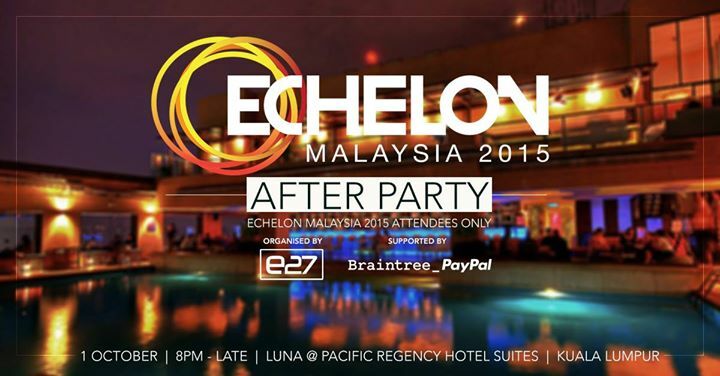 Echelon Malaysia 2015 will take place on October 1, 2015 with an after-party after that runs till late. The event will be hosted at Connexion @ Nexus, Bangsar. 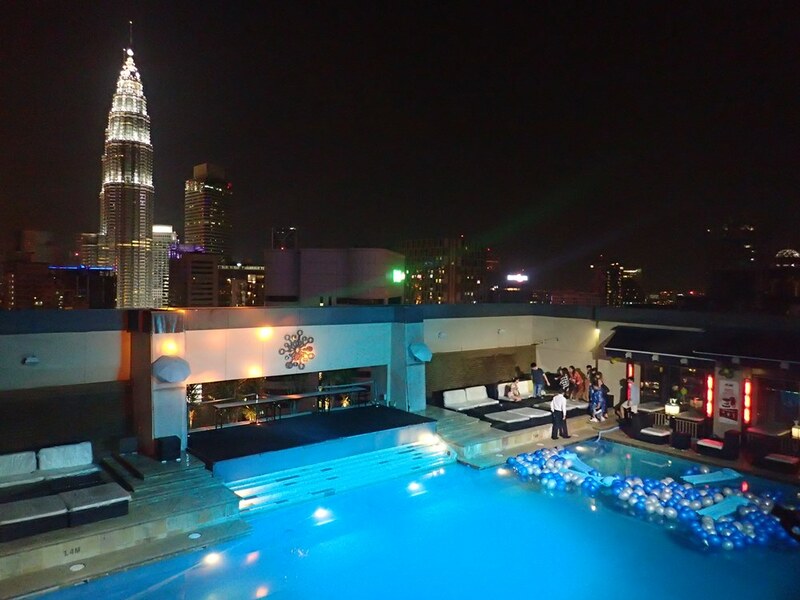 As for the perfect ending, the Afterparty will take place at Luna at the Pacific Regency Hotel Suites, Kuala Lumpur. 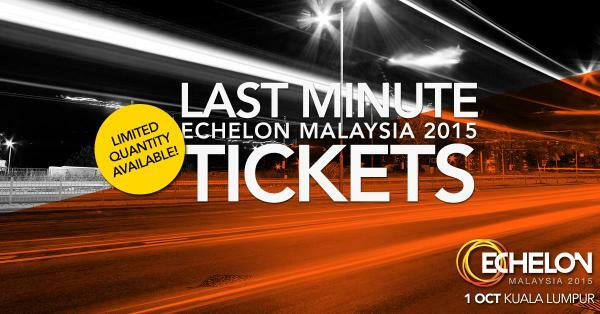 Last-minute tickets are still up for grabs and for more information about Echelon Malaysia 2015, kindly refer to the event’s official website here. Live updates can also be monitored online on Twitter by searching for #ECMY2015! Wow, cool!! seems like a very great opportunity to learn from the a lot of expects!! Sounds like it’ll be very inspiring talk!~ Looking forward for the spark! Would definitely be a good platform for those who are planning or in the midst of starting up businesses/planning to be entrepreneurs. 1st Oct so many events happening. But there’s only one me so need to choose wisely. 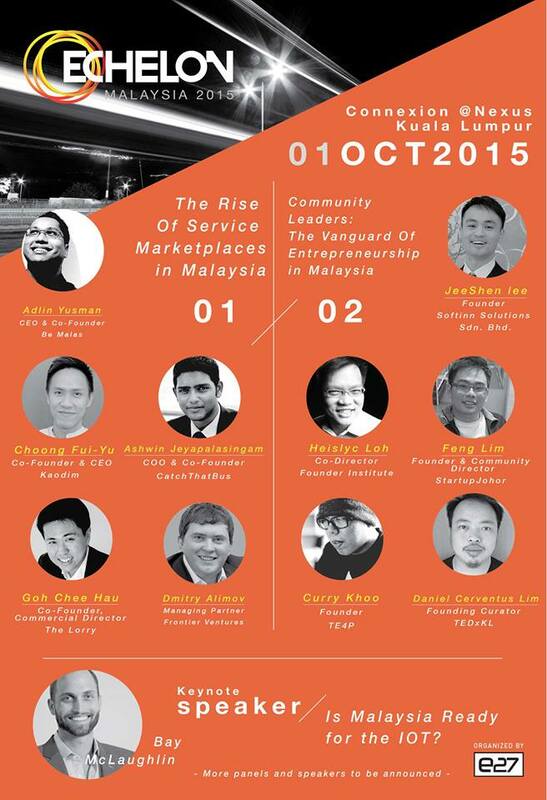 Think its going to be interesting as Malaysia gears towards IoT. It should be a great event to get insights on how to be a tech entrepreneur ! wow, there are really alot of online startup nowadays, keep on updated yea =D nthanks! it’s a great chance to connect entrepreneurs!! wish i can to join it!! this will be awesome.. 🙂 but too bad i have something to do tomorrow. Looks like an inspiring event with all the entrepreneurs speakers. Can share this among my friends! oh i only see this today when the event is over, looks like such an awesome event, hope to join one next time. Interesting event. Thank you for sharing. Sounds like a lovely event to attend. Definitely will look forward to this one. This is a great way to learn from experts! I want to hear their tips and what they have to say! Thanks for informing us! Looks live a great event to just get inspired and build connections! Too bad it’s too late for me to attend now!